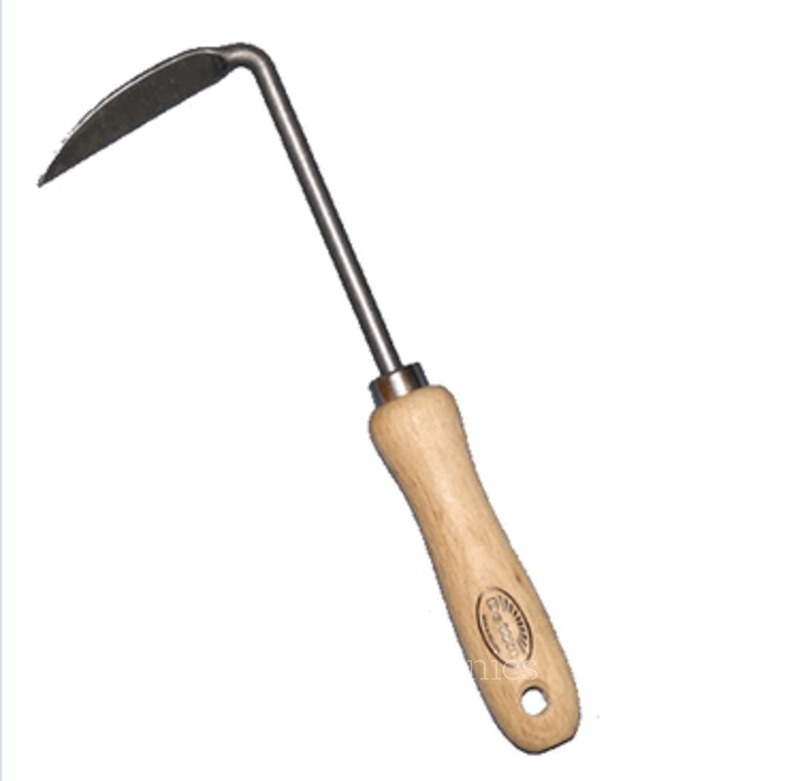 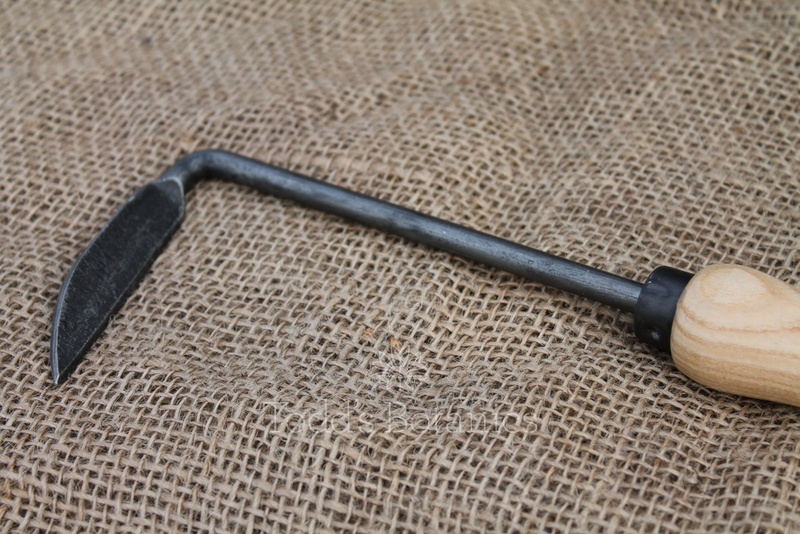 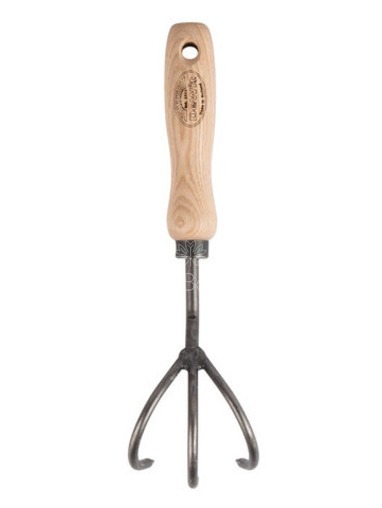 'The Cape Cod Weeder' designed and named by a resident of Cape Cod, is a marvellous little tool for removing those weeds straight from the root. 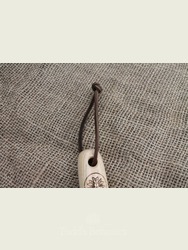 Handmade by De Wit using carbon steel and a hand turned ash handle for strength and durability. 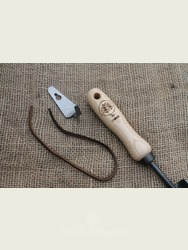 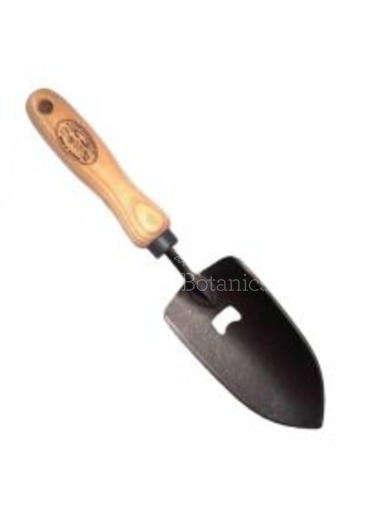 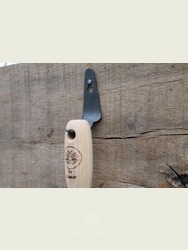 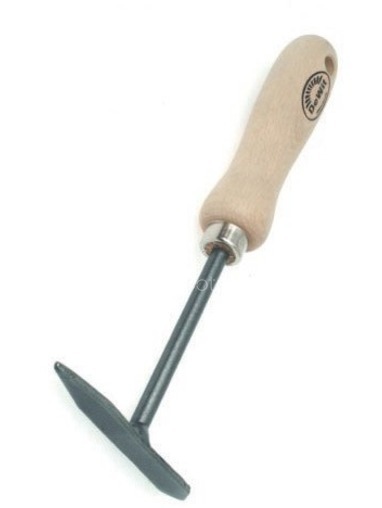 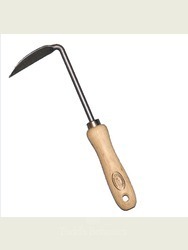 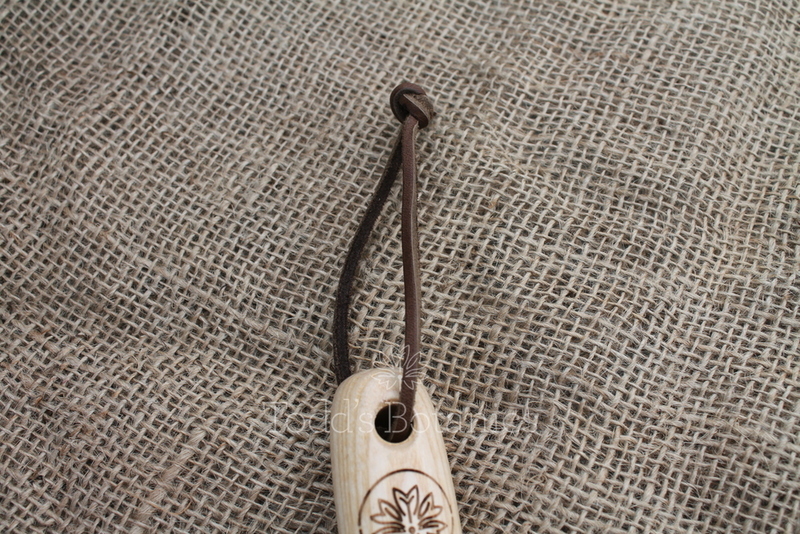 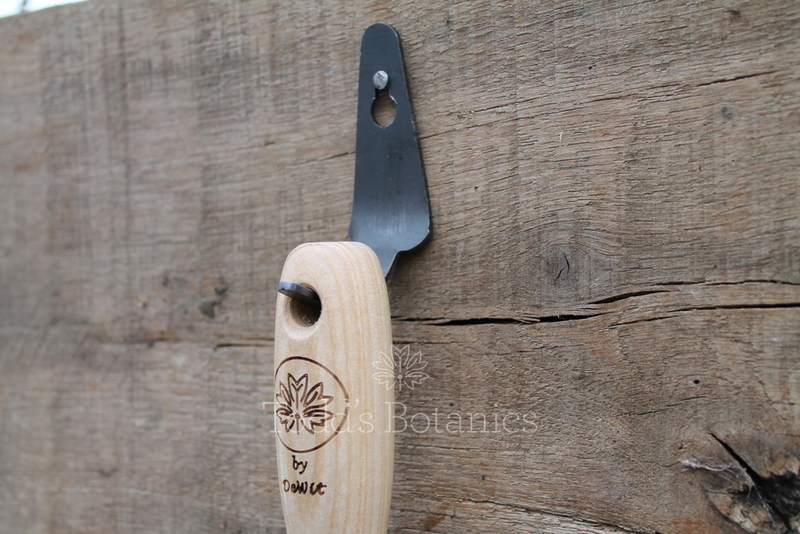 This is a life long lasting tool and would make an unusual gift for a gardener. 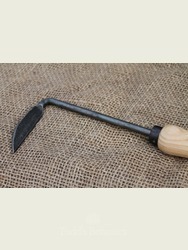 Brilliant for effective weeding in between rows of seeds or crops, the ergonomic shape really makes it easy to use. 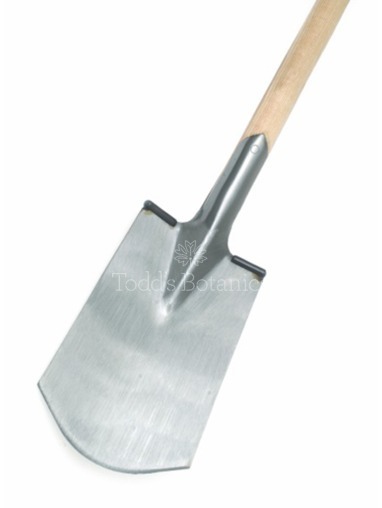 Beware very sharp and very effective! 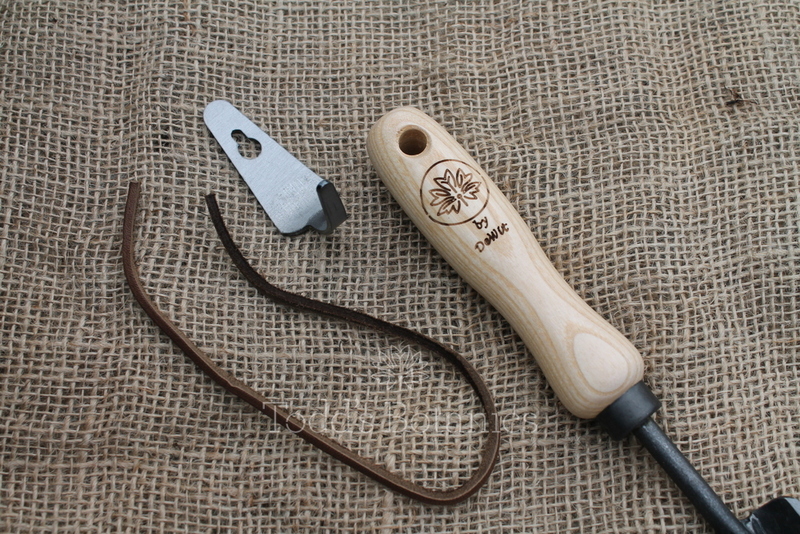 All our De Wit hand tools come with a leather strap and carbon steel hook so you can stow away your tools neatly.